New Vine Wine Tours – We provide Long Island North Fork Wine Tours. We also provide different long island wine tour packages for the ultimate North Fork Wine Tour experience. Long Island North Fork Wine Tours is a locally run business by New Vine Wine located in North Fork, Long Island. They specialize in pre-arranged tours to over thirty wineries, breweries, and distilleries in the region. Their tours are not simple visits, but a well-planned day in the scenic countryside. Visitors are chauffeured to selected wineries, breweries and distilleries where they can enjoy vineyard tours, wine tastings, and gourmet meals. 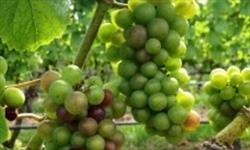 New Vine Wine Tours are considered to be Long Islands’ premier wine tour specialists! 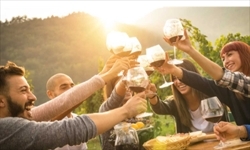 New Vine Wine has created two pre-arranged packages for visitors to choose from and has also included the option for visitors to create their own Long Island North Fork Wine Tours by selecting which wineries, breweries, and distilleries they are interested in touring. The All-inclusive Package ensures that visitors are transported in a luxury vehicle. Visitors tour three wineries and receive an optional cheese tasting platter at the first winery. This package tour includes 3-5 wine tastings and a gourmet boxed lunch from Ammiratis of Love Lane. In this package, visitors tour the Macari and Pugliese Vineyards in a luxury vehicle. They receive a complimentary bottle of champagne for the ride. 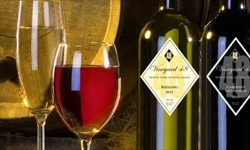 At the vineyards, visitors receive wine and cheese tastings as well as a three course dinner at a local steakhouse. In addition to the pre-arranged Long Island North Fork Wine Tours, New Vine Wine Tours also offer clients the chance to create their own tour package. Visitors have a choice of wineries, breweries and distilleries, which they would like to visit, as well as lunch options and tastings. New Vine Wine Tours also accommodate special requests such as birthday cakes and party favors for any occasion. Long Island North Fork Wine Tours take care of all transportation services required for the day of the tour including visitor pick ups, drives to the wineries and drop offs once the tours are completed. They have seven vehicles which visitors can choose from including a Mercedes Sprinter, SUV, Executive Shuttle Bus, and Town Car. For special events, visitors can select the Luxury Party Bus, Stretch Limousine or the SUV Limousine in which to be transported. The drivers of these vehicles are all locals and as such they have an extensive knowledge of the locations of Long Island’s wineries, breweries and distilleries. In addition, the drivers are all licensed and insured. 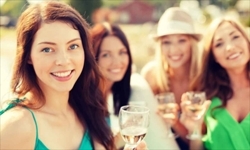 The Long Island North Fork Wine Tours assembled by New Vine Wine are perfect for any celebratory occasion such as bachelorette parties, birthdays, reunions and family outings. To get started, visitors simply need to check out their website at newvinewinetours.com and fill in the information form. Calls can also be made at (631) 409-8687. New Vine Wine Tour reviews can be accessed on TripAdvisor. They have an excellent rating and the reviews boast of great customer service and perfectly executed tours. Negative reviews seem to be non-existent on Trip Advisor for New Vine Wine and Long Island North Fork Wine Tours. The company’s website also has several reviews of the tours from people who booked tours with them. © New Vine Wine Tours. Long Island North Fork Wine Tours, All Rights Reserved.